All investors are not created equal. That’s why financial planners start their first client meetings with a discussion of money attitudes, goals and risk tolerance – the driver at the root of all investment decisions. Some planners do this by general conversation, others by detailed surveys they ask their clients to fill out. The survey route can be a more valuable tool because it forces clients to face their money issues, perhaps for the first time. Despite the difficulty in facing up to such key issues, individuals get a better idea of where their money strengths and weaknesses really lie. Often, the real difficulties lie in how money is spent. The real value of answering a lot of questions about your risk tolerance is to tell you what you don’t know – how the sources of your money, the way you made it, your money viewpoints and current methods of handling it will inform every decision you make about it in the future. The most important thing a questionnaire can reveal is your true money priorities and behaviors. Trained financial advisers, such as CERTIFIED FINANCIAL PLANNER™ professionals – use both conversation and surveys to reach some firm answers that might surprise you. The Innocent: Price notes that innocents often live in denial, are easily overwhelmed by financial information and rely heavily on the advice and opinions of others. They tend to be the most trusting because they generally don’t see people or situations clearly – which leaves them open to bad decisions at best and fraud at worst. The Victim: She notes that victims are people who tend to live in the past and blame their woes on outside factors and situations they claim they can’t control. These people may have been abused, betrayed, or have suffered some great financial loss, but they generally see life as a self-fulfilling prophecy that they can’t change. The Warrior: Generally seen as a successful person in the business and financial worlds, they will listen to advisors, but they make their own decisions. They tend to be great caretakers. The Martyr: These people generally put other people before their own financial health. They use their money to rescue others based on their high expectations for themselves and the people they’re rescuing, but these decisions may be costly in the long run. The Fool: The Fool, explains Price, is a combination of the Innocent and the Warrior because they have no clue about what they’re doing but they’ll act fearlessly. They are financially adventurous and they act on impulse. The Creator/Artist: These people often have a love/hate relationship with money. They’re constantly struggling to make their finances work, but they often feel that caring about money means something bad. The Tyrant: price reports that this type hoards money and uses it to manipulate others. They may have everything they need, but they’re never comfortable with their lives because they fear losing control. The Magician: Price defines the The Magician as the ideal money type. They’re aware of their circumstances and responsibilities and can see situations very clearly. How would you describe your financial status right now? What’s important about money to you? What’s your family history with money? What do you do with your money? If money wasn’t an issue, what would you do with your life? Has the way you’ve made your money – through work, marriage or inheritance – affected the way you think about it in a particular way? How much debt do you have and how do you feel about it? Are you more concerned about maintaining the value of your initial investment or making a profit from it? Are you willing to give up that stability for the chance at long-term growth? What are you most likely to enjoy spending money on? How would you feel if the value of your investment dropped for several months? How would you feel if the value of your investment dropped for several years? If you had to list three things you really wanted to do with your money, what would they be? What does retirement mean to you? Does it mean quitting work entirely and doing whatever you want to do or working in a new career full- or part-time? Do you want kids? Do you understand the financial commitment? If you have kids, do you expect them to pay their own way through college or will you pay for all or part of it? What kind of shape are you in to afford their college education? How’s your health and your health insurance coverage? What kind of physical and financial shape are your parents in? One of the toughest aspects of getting a financial plan going is recognizing how your personal style, mindset, and life situation might affect your investment decisions. A financial professional will understand this challenge and can help you think through your choices. Your resulting portfolio should feel like a perfect fit for you! 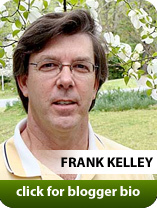 December 2009 — This column is produced by the Financial Planning Association, the membership organization for the financial planning community, and is provided by Frank Kelly, CFP® , a local member of FPA.